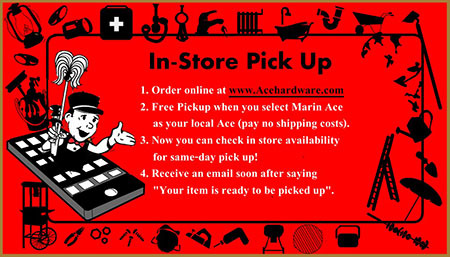 Marin Ace has been part of the San Rafael Chamber of Commerce since we opened in the “hardware desert” of Terra Linda. We believe that small local business is an asset to communities and we strive in any way that we can to promote that. The following article was written by the “Mom” in our Mom & Pop store, for our sister store Laurel Ace. It appears as an article in the Chinook book. She explains why small business is so important much better than we could. You’ll likely shop for Hanukkah and Christmas gifts, decorations, and other holiday purchases this season. Our three-locally owned businesses, Laurel Ace Hardware, Marin Ace, and Standard 5&10 Ace, hope that you realize your neighborhood hardware stores offer much more than nuts and bolts! We have curated great gift ideas specific to our neighborhoods in Oakland, San Rafael, and San Francisco, and we look forward to helping our customers with their gift-giving lists this month. You’ll find giftable items year-round that we hope you’ll adore, from crazy socks to electronic accessories, plants, and home décor, to local honey and local history books, giving you more reasons to shop locally, not just for your everyday supplies and solutions to your projects. Since December’s 8% of the year represents up to 40% of retail sales, let us share the difference our three locally owned stores make in our communities – and why we hope you’ll shop your own local businesses when buying your holiday gifts. Significantly more money re-circulates in your community when purchases are made at locally owned, rather than nationally owned, businesses: Whenever possible we purchase goods from other locally owned businesses, (including our adorable Oakland and San Francisco tote bags from Rickshaw Bagworks in San Francisco, and eco-friendly bottles from LifeFactory in Sausalito). Purchasing local helps grow other businesses as well as the city tax base, which benefits all city projects such as parks and schools. Our one-of-a-kind businesses are an integral part of our distinctive character: Oakland’s Businesses in The Laurel are distinctly unique, giving personality to MacArthur Boulevard. And Oakland Grown knows “buying, investing, and giving locally helps sustain a more just and vibrant economy.” This is why Oakland celebrates their distinctly hella awesome community – including creating the #PlaidFriday efforts on Black Friday! Oakland Grown agrees that tourism businesses also benefit. Richard Moe, President of National Historic Preservation Trust shares of tourists: “When people go on vacation they generally seek out destinations that offer them the sense of being someplace, not just anyplace.” And local businesses offer that uniqueness to visitors and neighbors alike. Local business owners invest in community: Local businesses, like our Ace stores, are owned by people who live in the community, who are less likely to leave and are more invested in the community’s future. Non-profits receive greater support: Non-profit organizations receive an average 350% greater support from local business owners than they do from non-locally owned businesses. We have already donated thousands of dollars of gift cards, coupons, and goods to over 100 non-profits in the Bay Area between our three stores, and are proud sponsors of many local events and sports programs, including three local swim teams, little league and girls’ softball, a summer concert series, and The Pacifics baseball team in San Rafael alone. Customer service is better: We hear this all the time on our customers’ reviews – they come to their local Ace Hardware store specifically for better customer service. Getting to know and help our customers is the biggest thing we do differently than big impersonal stores, and it’s the most important thing we have to do every day at Laurel Ace, Marin Ace, and Standard 5&10. Competition and diversity lead to more choices: A marketplace of thousands of small businesses ensures innovation and low prices over the long-term. Just like other small businesses, we select products based not on a national sales plan but on our own interests and the needs of our local customers, guaranteeing a much broader range of product choices our neighbors will enjoy. This is why each Ace Hardware store you enter is so different – even among our three stores. 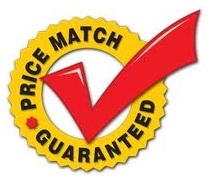 For example, we know The Laurel has more do-it-yourselfers so you will find more and a greater choice of home improvement items like screen repair kits, or door hinges, in Oakland than our other stores. We can also stock local sports gear such as Warriors merchandise at Laurel Ace in Oakland, and Giants gear at Standard 5&10 in SF! And unlike many Ace stores, you’ll find a large Housewares section at all three of our own stores, since we know our community appreciates being able to shop in their own neighborhood for these everyday kitchen items. Most new jobs are provided by local businesses: Small local businesses are the largest employer nationally and provide the most new jobs in our community to residents. We always are happy to accept applications from helpful folks who want to join our team! And by hiring our neighbors we can represent the diversity of ideas and talents of our unique neighborhood. You have choices when buying – on behalf of the locally owned businesses in the Chinook Book, we hope you’ll Shop Local this holiday season and all year long!